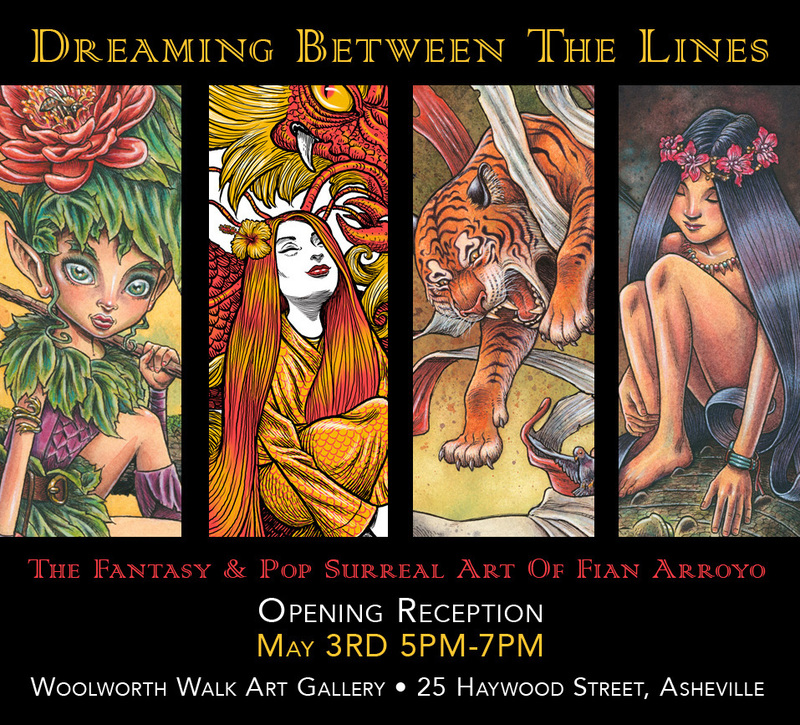 Join me for the opening reception of my featured art show "Dreaming Between The Lines" debuting my newest works at the Woolworth Walk Art Gallery in downtown Asheville May 3rd from 5-7pm. This show evokes a whimsical escape into a lush, fun, fantasy and pop surreal environments full of monsters, wanderlust, and confident humans. “Dreaming Between The Lines” is a culmination of works of my watercolor and ink paintings along with drawings and digital illustrations created from 2018 to the present. Guests will have the opportunity to enter a drawing to win an archival print signed by the artist. I look forward to sharing this super-fun, energetic & colorful art experience with you!